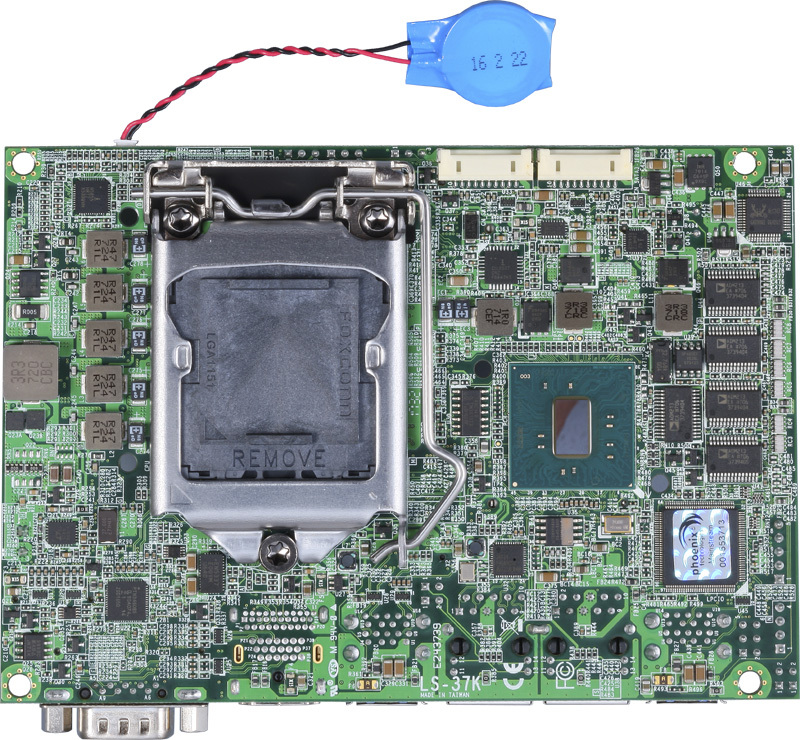 SMBUS, 1 x Mini-PCIe socket (support mSATA). Core™ Series Processor and E3-1200 v5 processor family. Intel® desktop platform to support DDR4 memory (One DDR4 SO-DIMM 1866/2133 MHz up to 16GB). Definition Audio, and 1 MiniPCIe socket(Support mSATA). Integrated Graphics: Intel® Core™ integrated HD Graphics 530 Technology. LAN Interface: 1 x Intel® Gigabit PHY LAN, 1 x Intel® Gigabit LAN. Internal I/O: 2 x SATA3, 4 x RS232, 1 x RS232/422/485. 4 x USB2.0, 1 x DVI, 1 x LVDS, 1 x VGA, 1 x LPC, 1 x LCD inverter, 1 x GPIO, 1 x Audio, 1 x PS/2, 1 x SMBUS. Rear I/O: 1 x DisplayPort, 1 x HDMI, 4 x USB3.0, 2 x LAN, 1 x RS232. 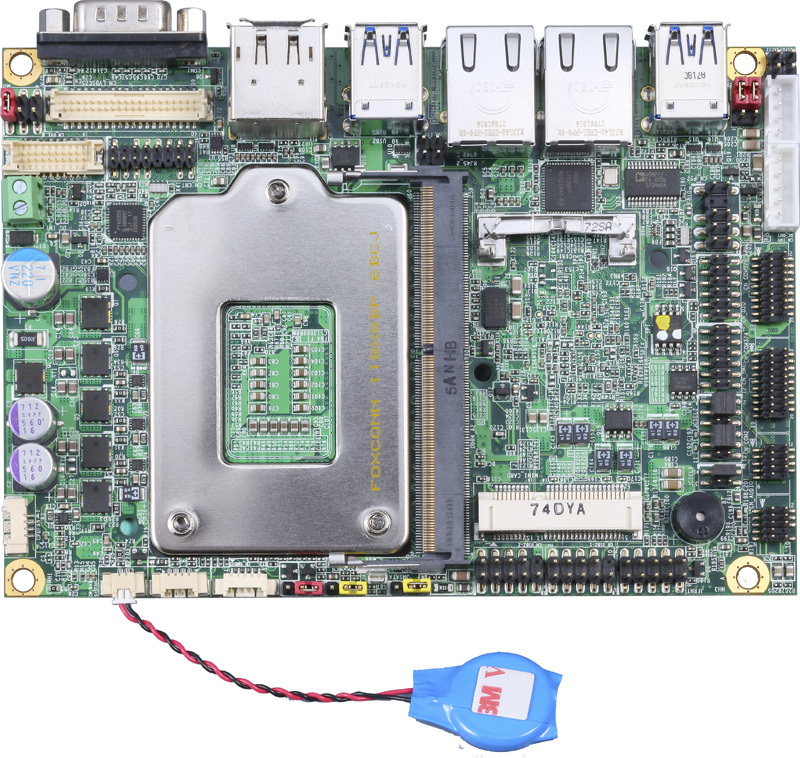 Extended interface: One PCIE Mini card (Support mSATA). Power requirement: DC input 9~35V. Note: There are two module (ADP-3355, ADP-3460), and you can choose one to support 2nd VGA or 2nd LVDS.